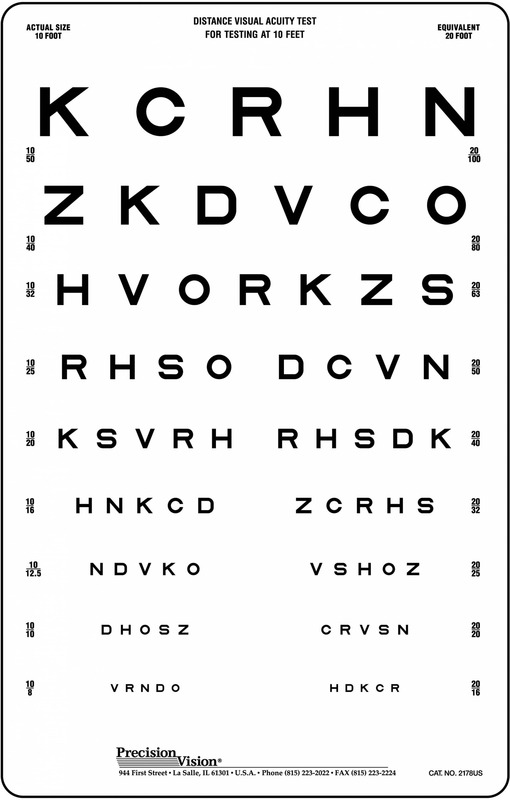 Two small groups 7.5M to 1.2M for repetitive testing (20/50, 6/15 to 20/8, 6/2.4 equiv.). 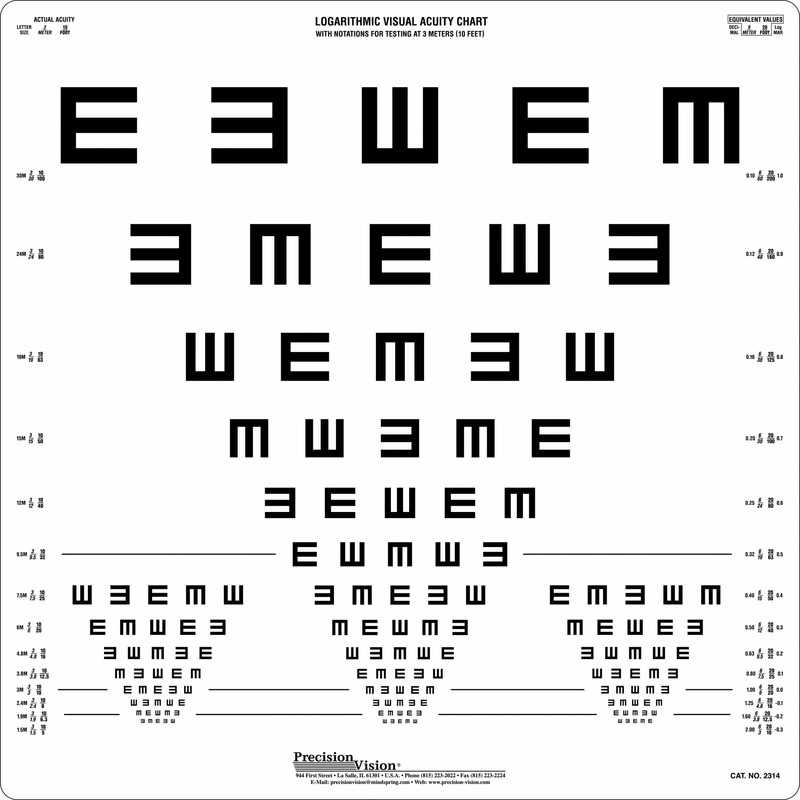 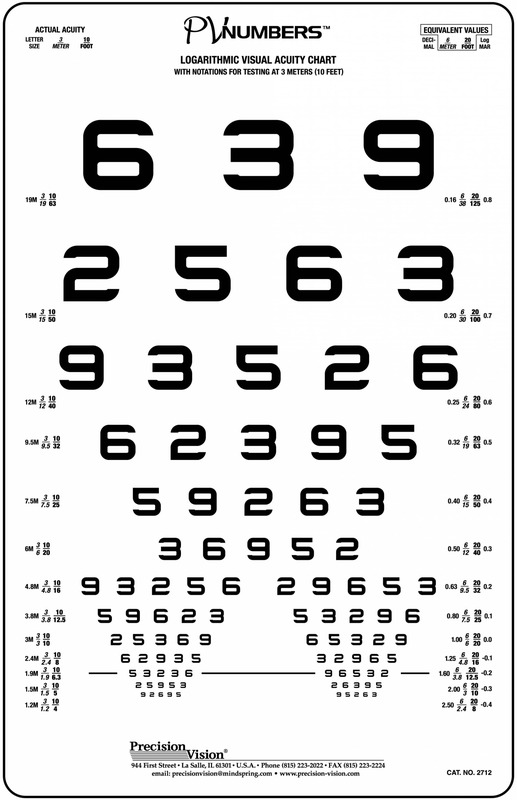 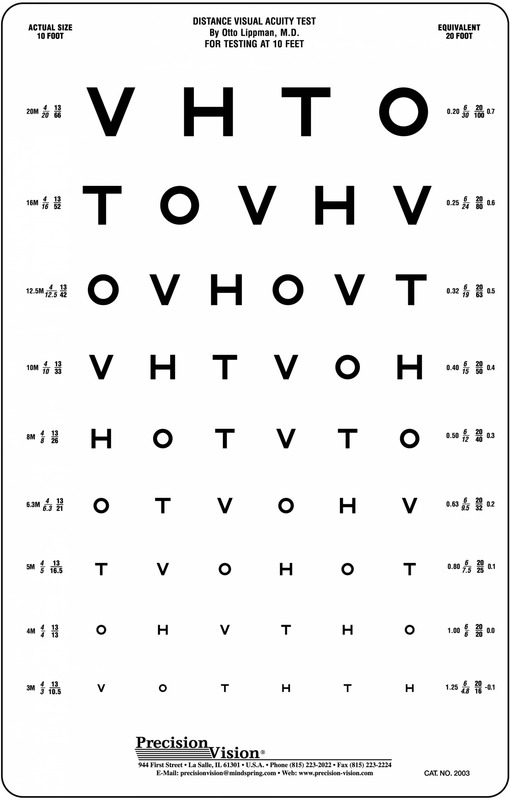 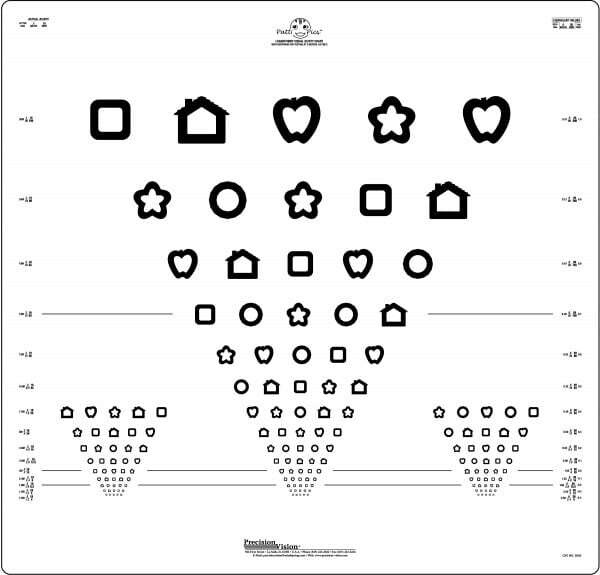 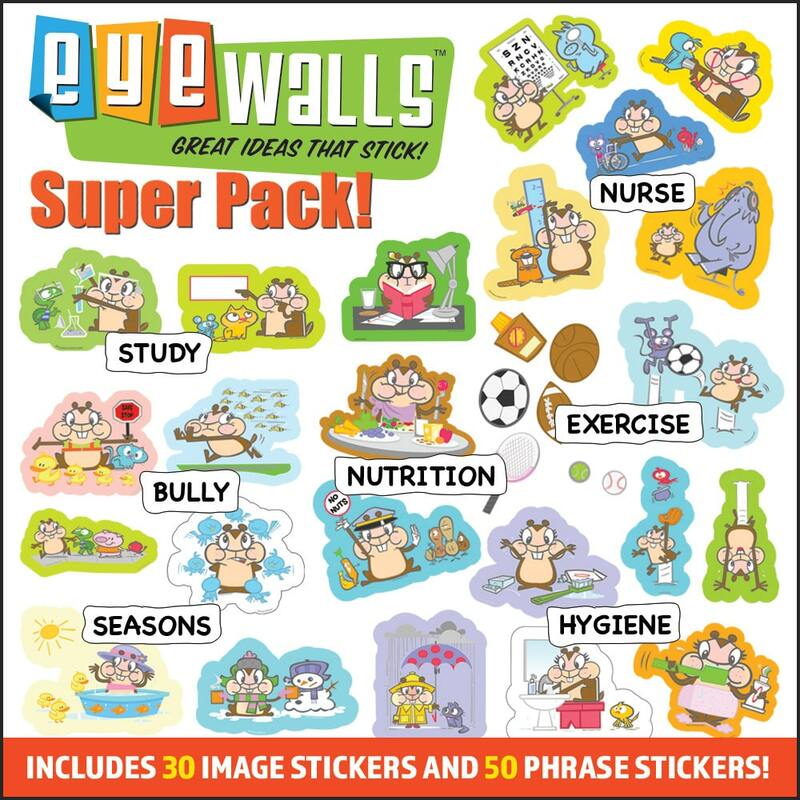 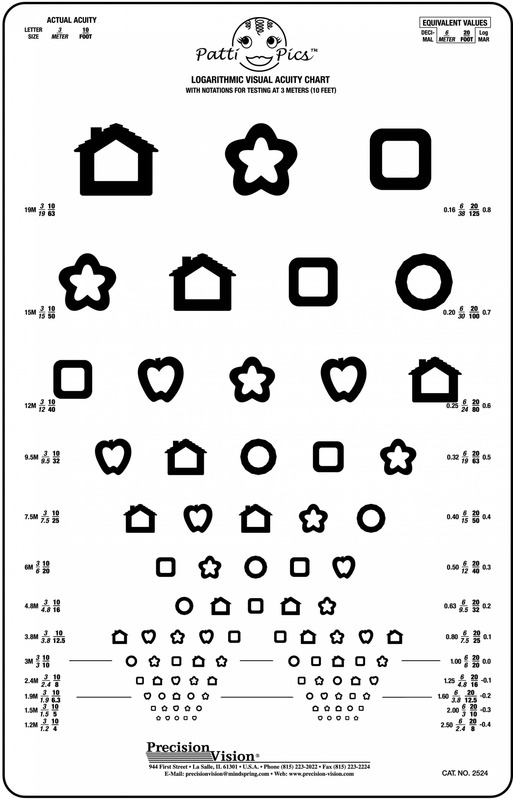 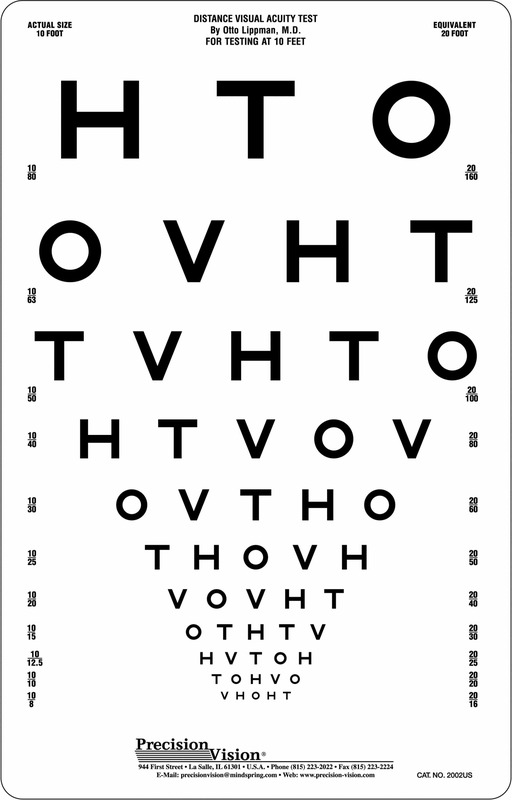 Patti Pics visual acuity test uses five separate but distinct symbols for pediatric testing. 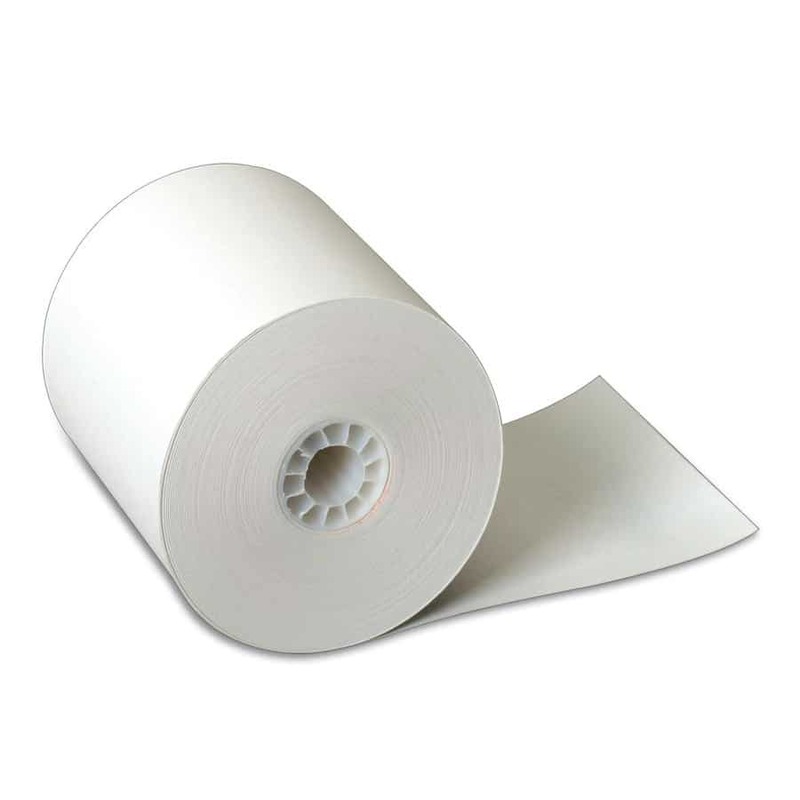 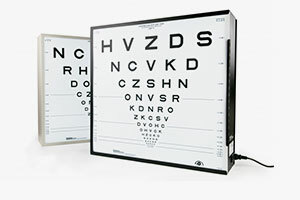 With the use of the response key, testing acuity is easier and more reliable. 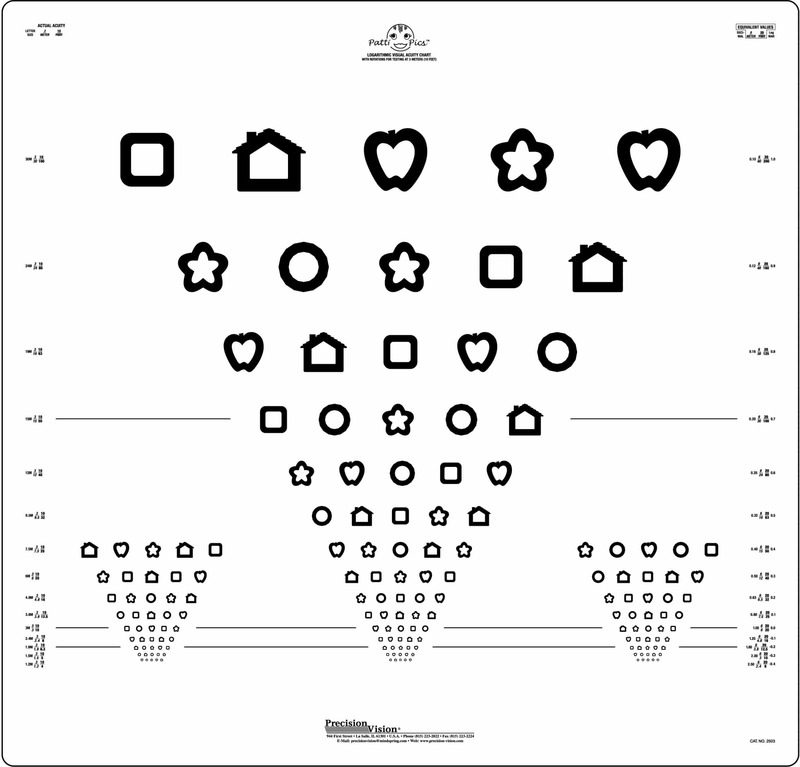 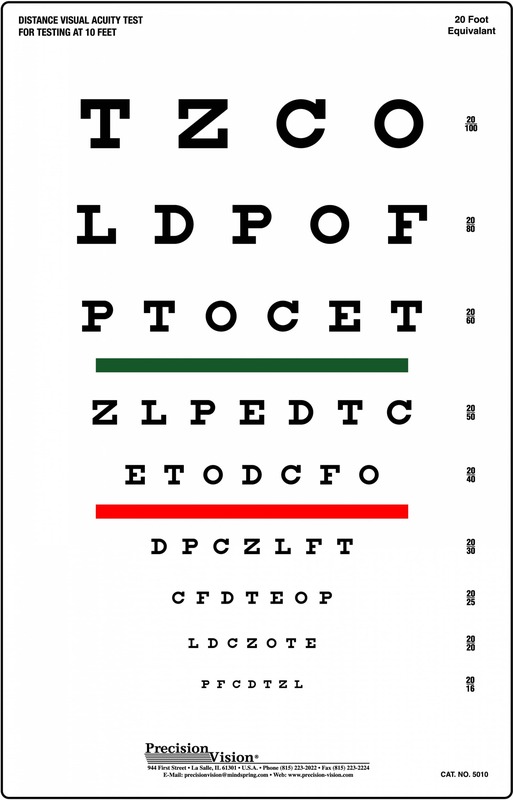 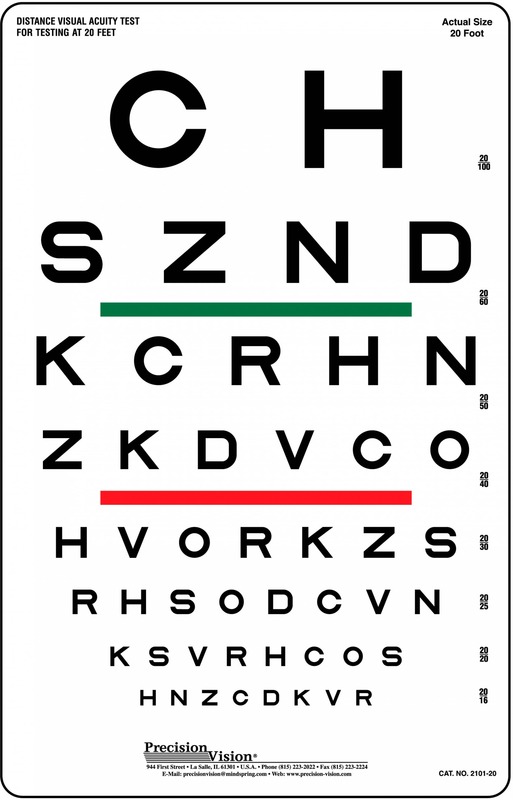 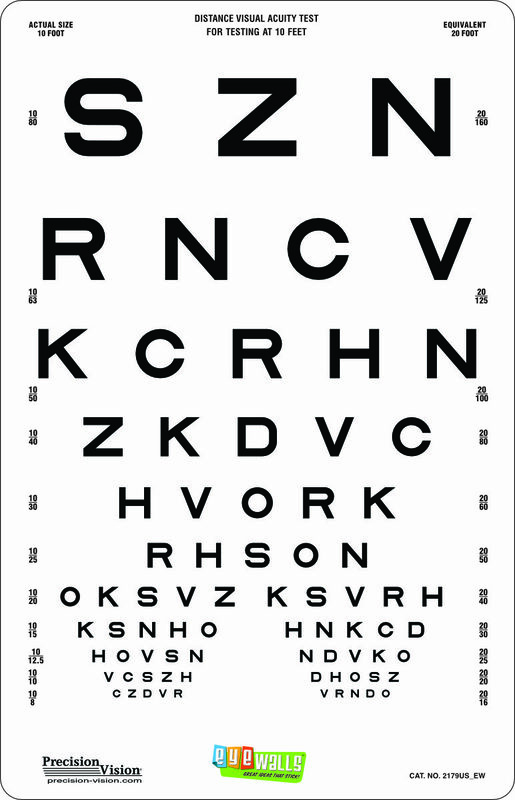 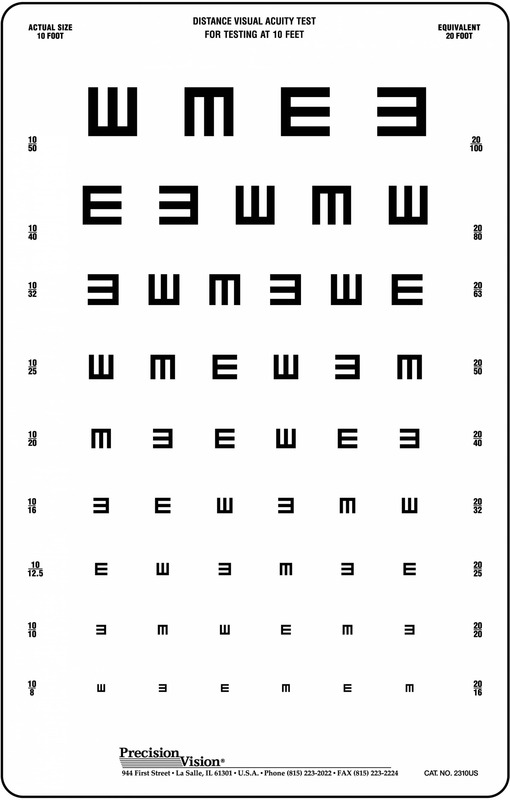 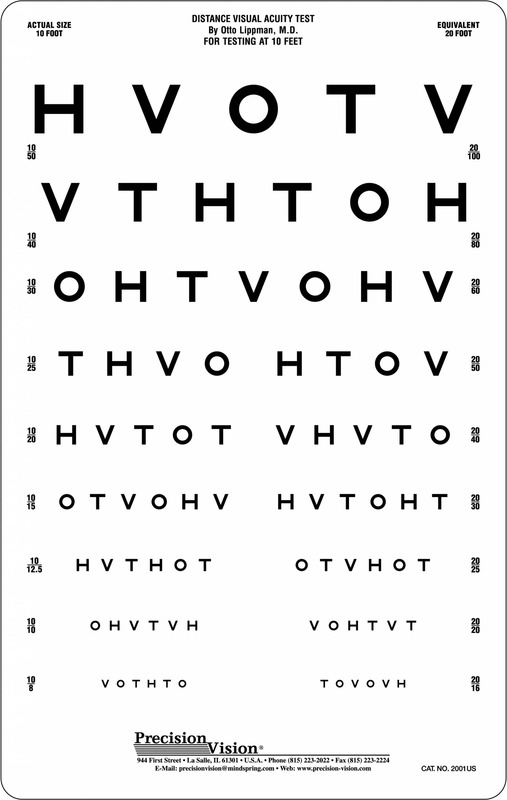 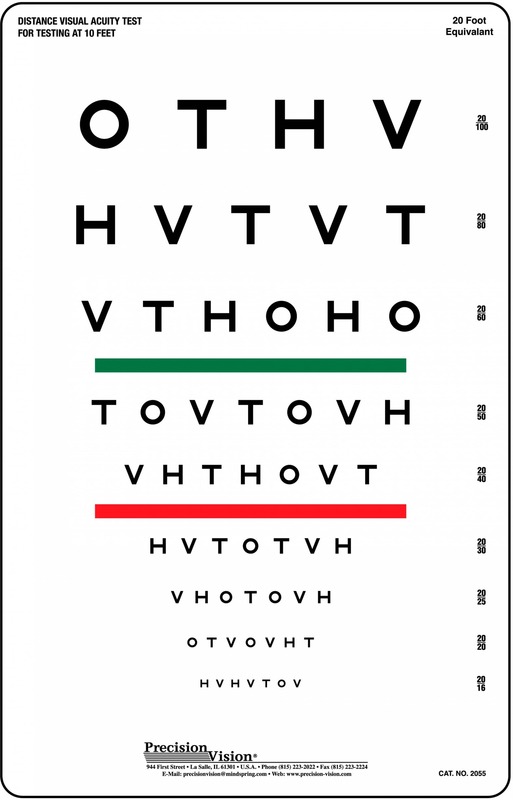 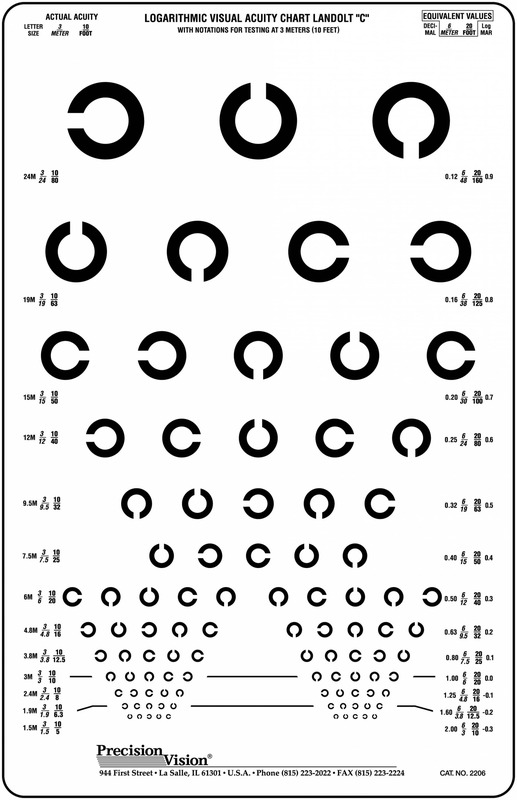 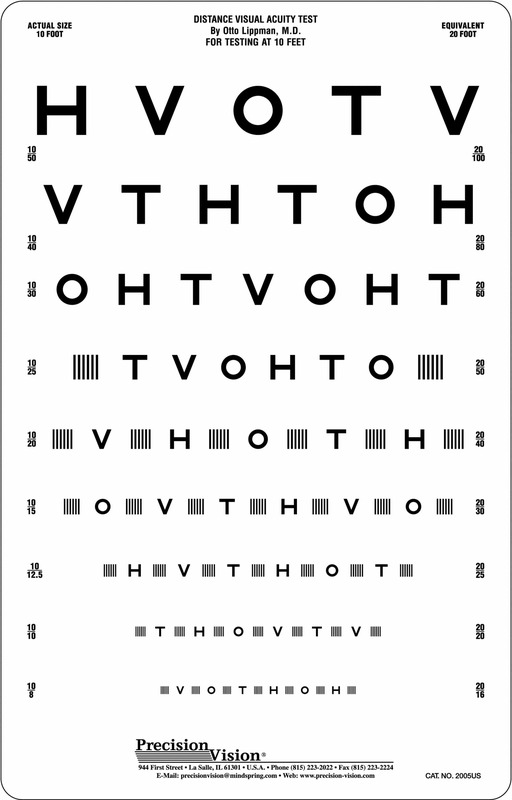 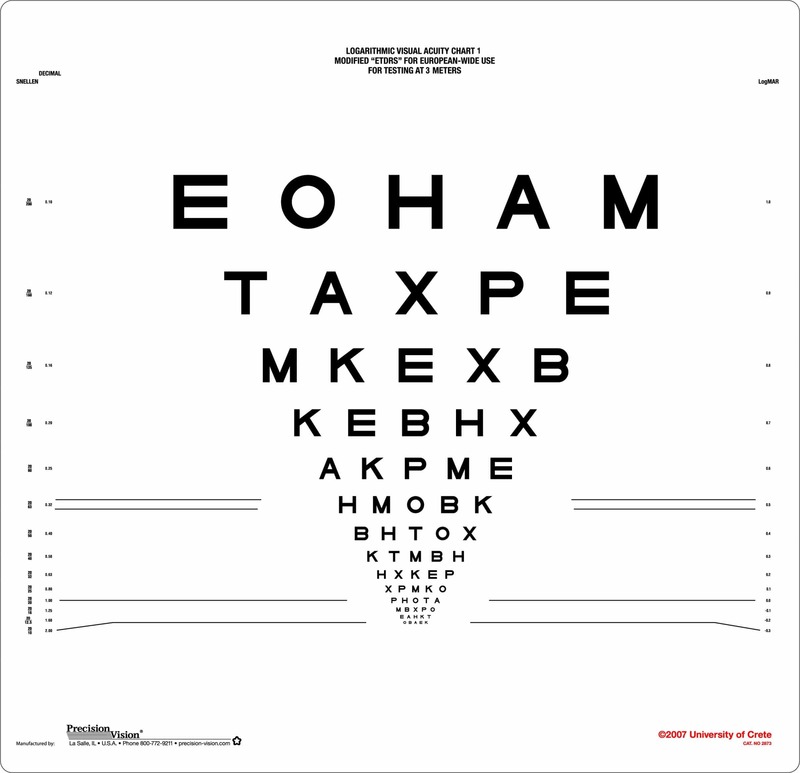 Also, vision chart includes two smaller groups of optotypes for repetitive testing. 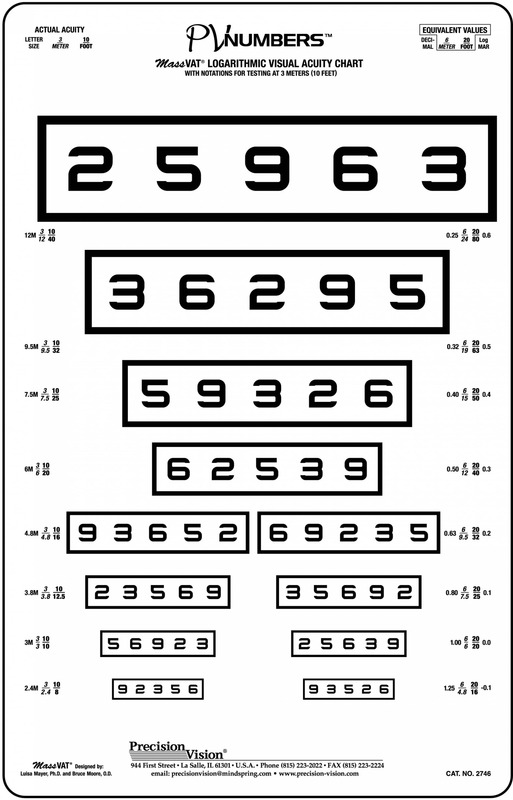 These smaller groups also help to reduce memorization and increase reliability and accuracy.